I’m a nail artist and educator living in Santa Monica , CA. If you like puppies, caffeine, and shenanigans, then we will probably get along. "Her technique is like nothing I've ever seen and she actually uses nail 'paint' as opposed to polish. Not only is she talented, knowledgeable, and obviously loves what she does-she's also fun to chat with. I highly recommend Katie!!" "Wow is all I can say! 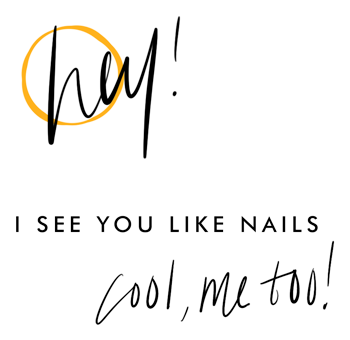 What an amazing experience it is to be able to get your nails done one on one with someone who truly cares about the safety/ health aspects of getting your nails done and who is also an amazing nail artist!" "Katie is not only so skilled in her gel technique but she is so creative and will work WITH you to create a beautiful work of art on your nails." Katie is also insanely knowledgeable about all things nails - in terms of shape, colors, designs, and overall health! I always feel really comfortable here and time literally flies because of how personable and charismatic Katie is. Katie is oh-so-personable and easy to talk to! I love how she keeps up with the latest nail techniques, supplies, trends, and designs. Head over to my services page to see what I got for ya! Head to my booking page to make your appointment! Check out my Instagram for the most current nail-related happenings! Sign up for the latest news and tutorials!